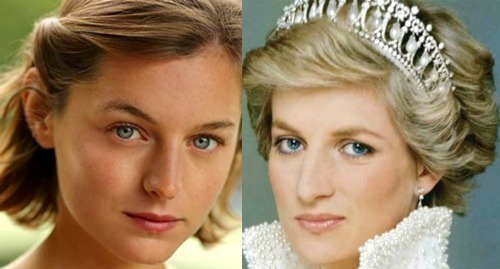 Actress Emma Corrin has landed the coveted role as Princess Diana on Netflix’s highly-rated series, The Crown. While Season 3 of the series will focus on the 1960s and 1970s, the fourth installment will be dedicated to the Margaret Thatcher era and of course, the Princess of Wales. Emma Corrin’s previous credits include the British television series Grantchester and a short film called Alex’s Dream. In addition to The Crown, she also has another project in the pipeline called Misbehavior. Even though the Spencer family were a prominent fixture in royal life during the 1970s, the series will focus more on Prince Charles and Camilla Parker-Bowles during that time. Diana and Charles began dating shortly after Lord Mountbatten’s death in 1979. Now, as far as what fans can expect, there’s a good possibility that The Crown will explore the very early days of Prince Charles and Princess Diana’s courtship up until their royal wedding. While Princess Diana quickly became a household name during that time, it wasn’t until the 1990s and her separation from Prince Charles did she become a rising star of the royal family. Not only was Princess Diana a paparazzi target, but she also made headlines for her numerous global initiatives and charity work. Netflix content chief Ted Sarandon has previously said that The Crown will run for six seasons. So far Netflix has not commented on when fans can expect to see Season 4, however, Season 3 will debut on the online streaming service later this year. Filming for Season 4 will begin this upcoming Fall as well. In the meantime, don’t forget to check back with CDL for all the latest news and updates on the British royal family right here. Meghan Markle Being Held Back By Royal Family: Feminist Political Voice Silenced by The Monarchy?